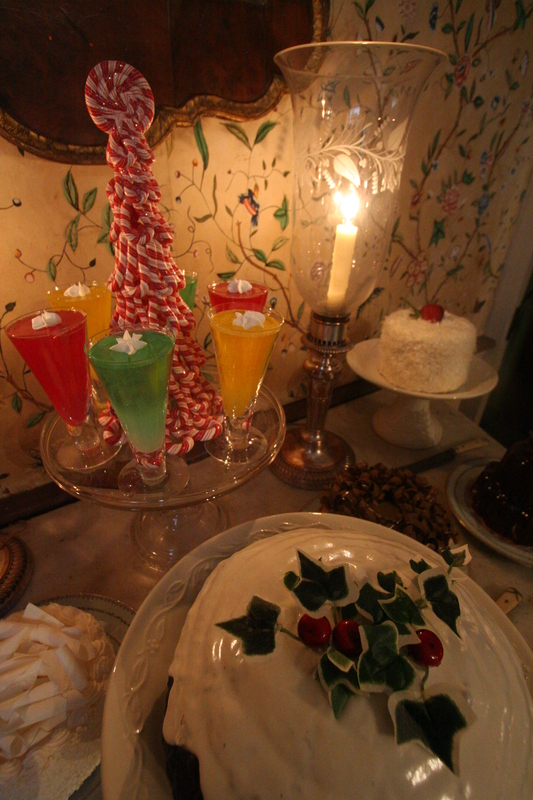 The Corbit-Sharp house was transformed into an English country house during the 2008 holiday season. 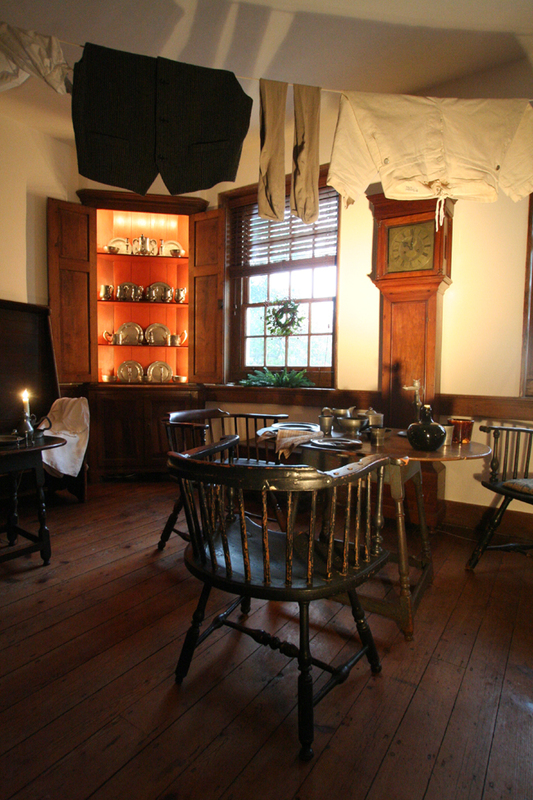 The gentry spent the holidays at their country houses and often did not return to London until February. 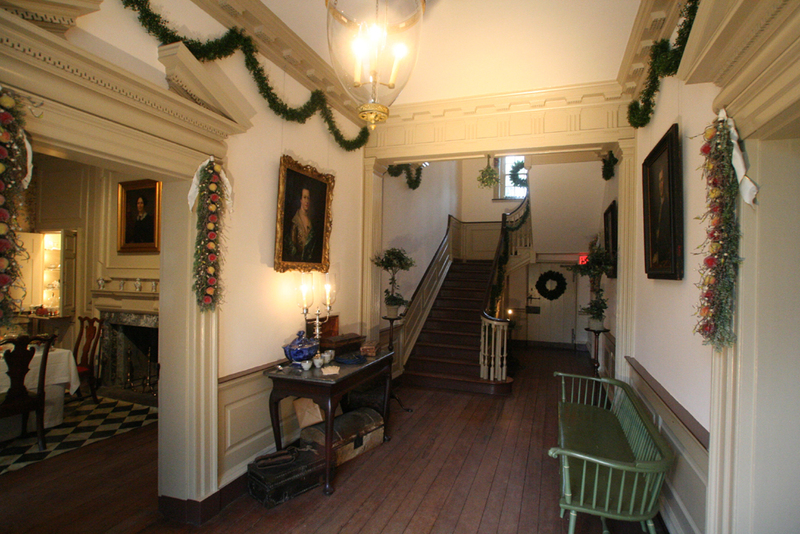 The Jane Austen Christmas exhibit illustrated the holiday customs and traditions popular during her time. 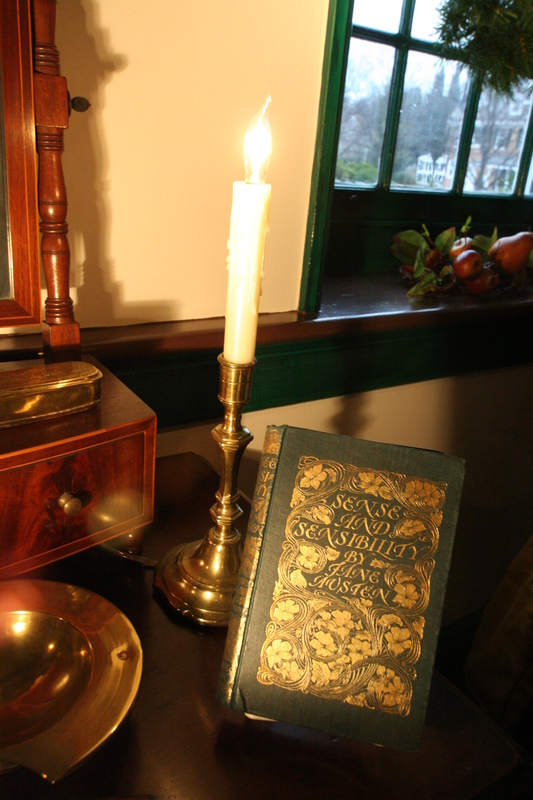 Most would be familiar with Austen’s beloved novels, such as Sense and Sensibility (1811), Pride and Prejudice (1813), Mansfield Park (1814), Emma (1816), Northanger Abbey (1818), and Persuasion (1818). 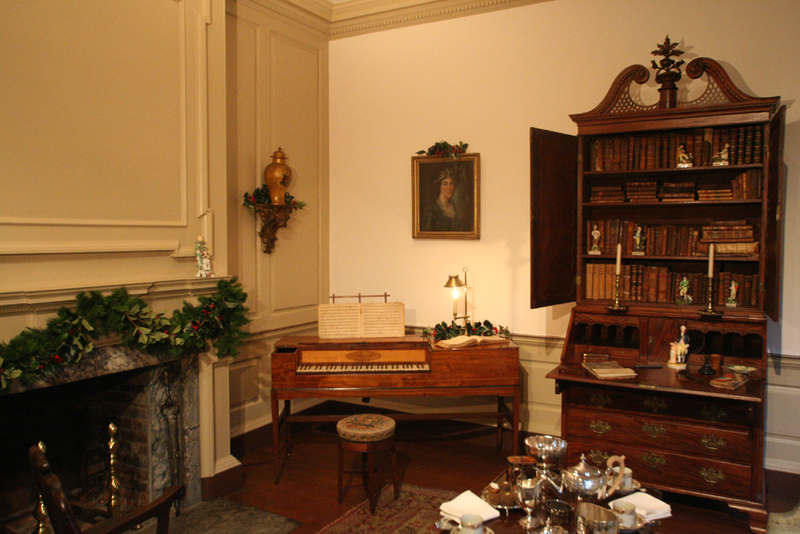 Austen provided accounts of how Christmas was celebrated in her letters and throughout most of her novels. 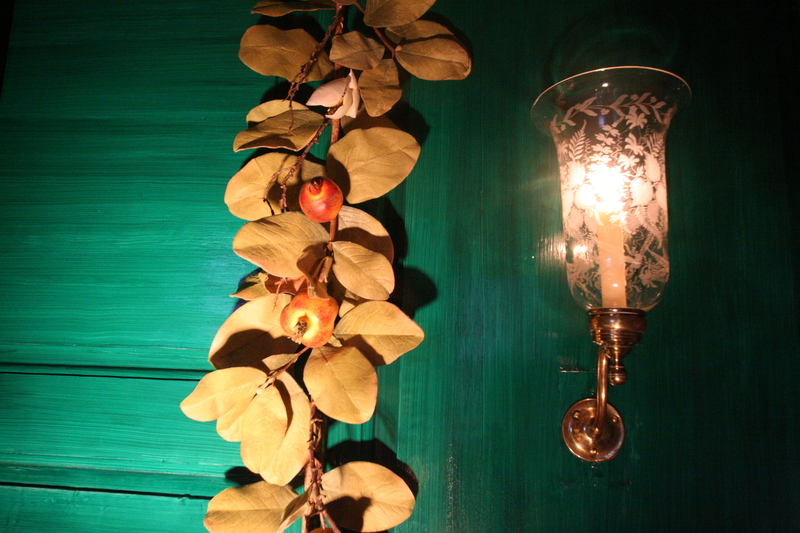 The Christmas season in Georgian/Regency England was a festive time of the year which inevitably diverted one’s attention away from the cold and dark months of winter. 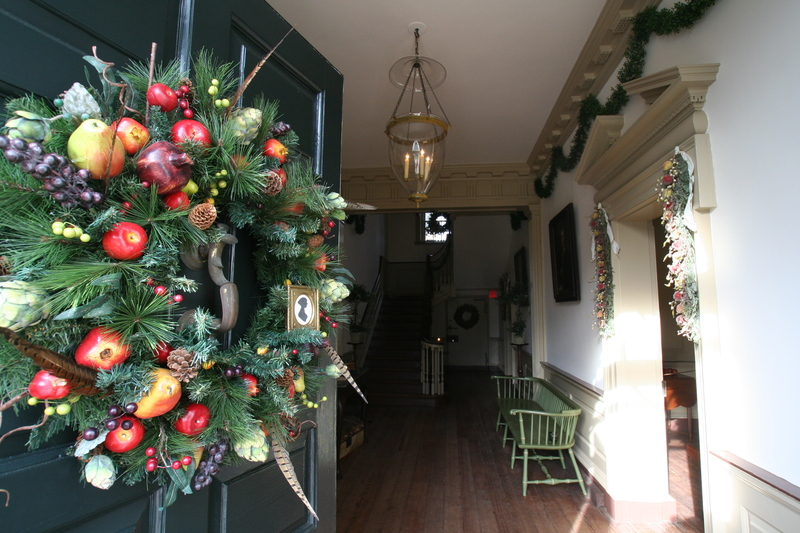 The early 1800’s presented a time of entertainment with evening balls, parlor games, and family parties. 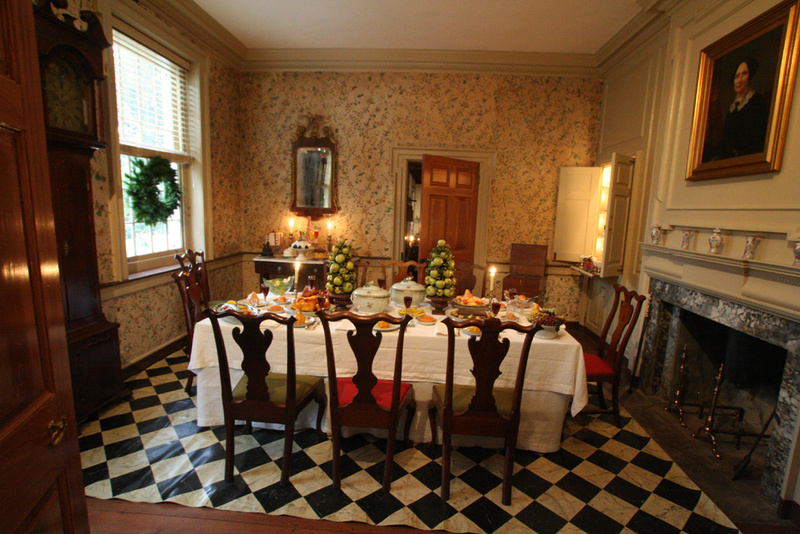 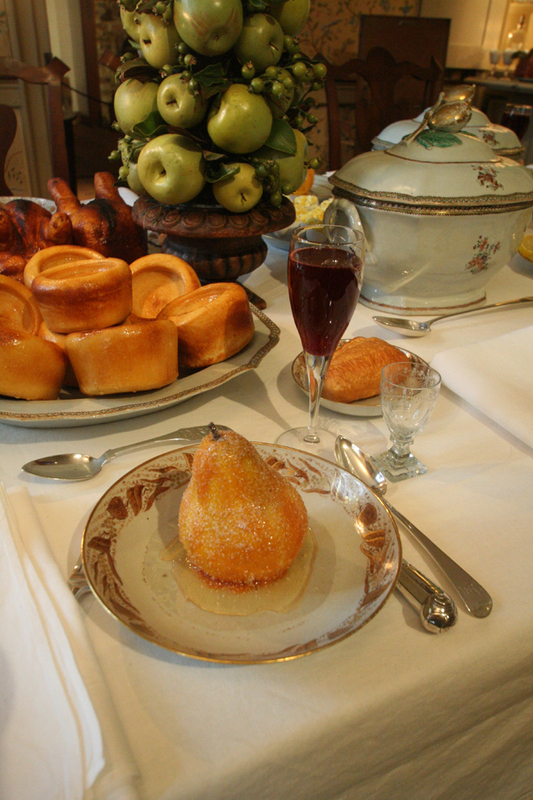 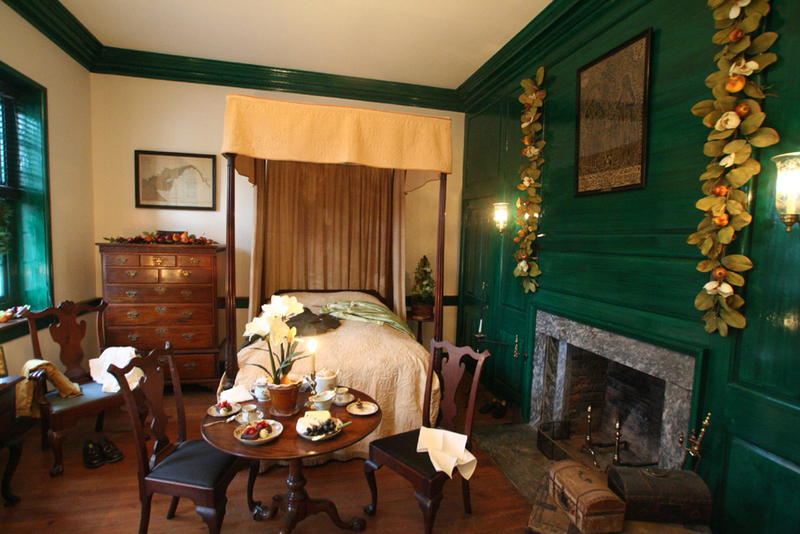 The rooms in the house were interpreted to show visitors both the celebration side of the holidays and the preparation side of the homeowners and their servants.